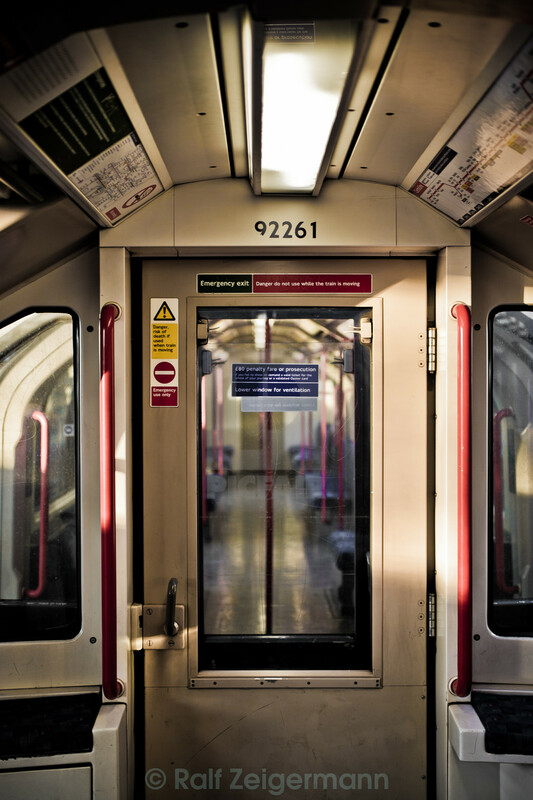 The London Underground is the world’s first underground subway. It opened in 1863, which means it’s been around for a whopping 154 years! 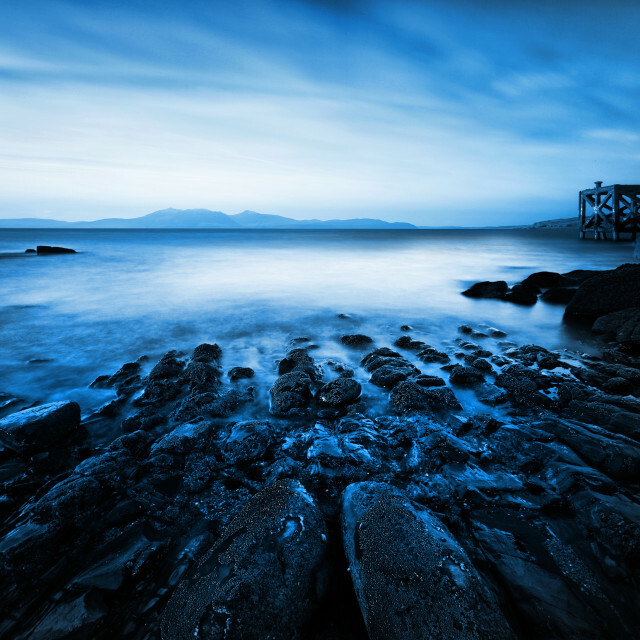 Originally called the Metropolitan Railway, over time, it has gathered many other nicknames. 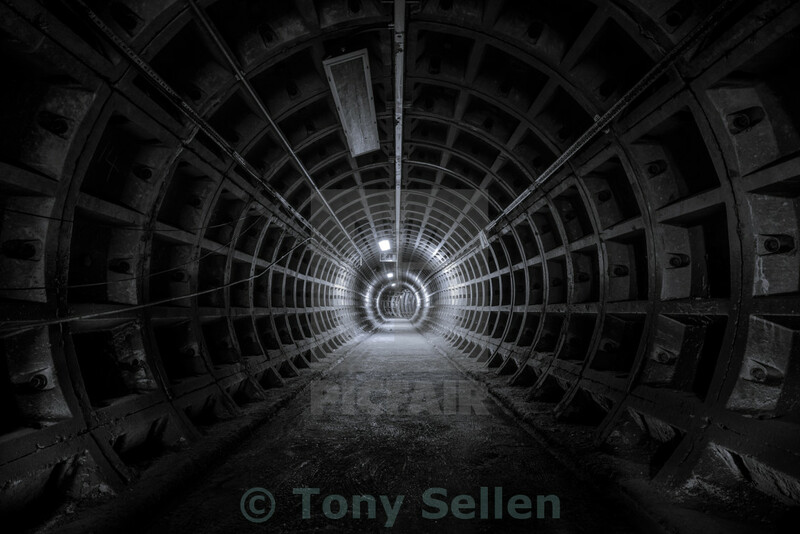 But one in particular has stuck with Londoners since around 1890 – ‘The Twopenny Tube’. 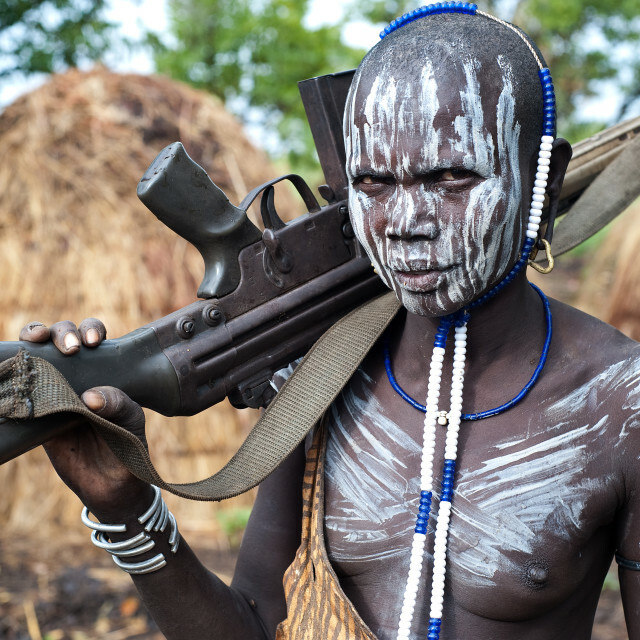 As years went on, this was inevitably shortened to 'The Tube'. 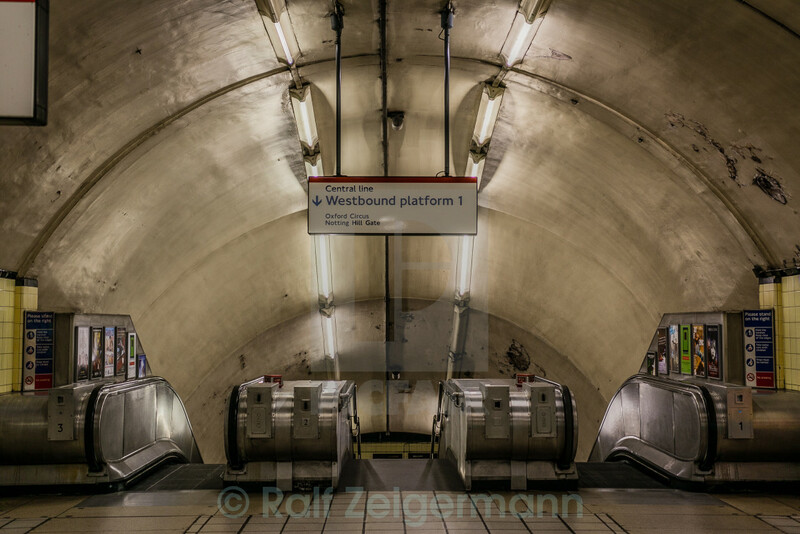 It is clear where this came from – the architecture and design of the whole system, including the trains, resembled tubes and pipes. 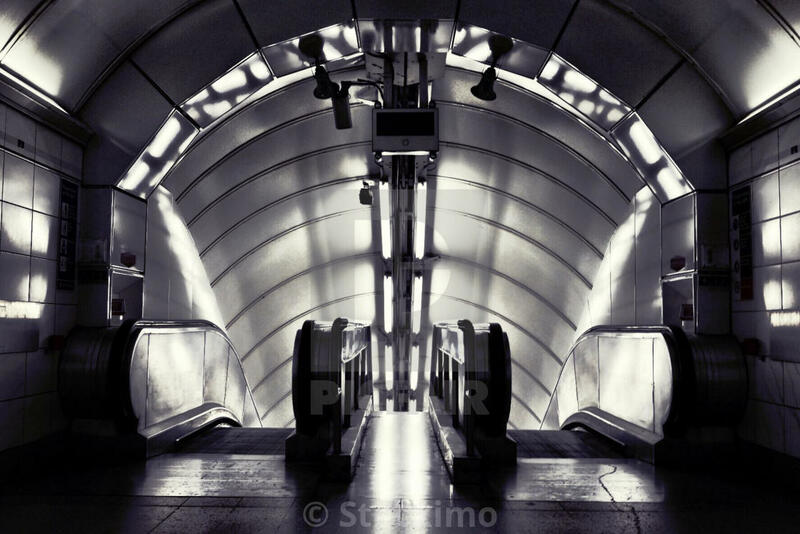 We’ve chosen 20 images which and showcase why this nickname stuck so easily and exemplify the mechanical beauty of the network. 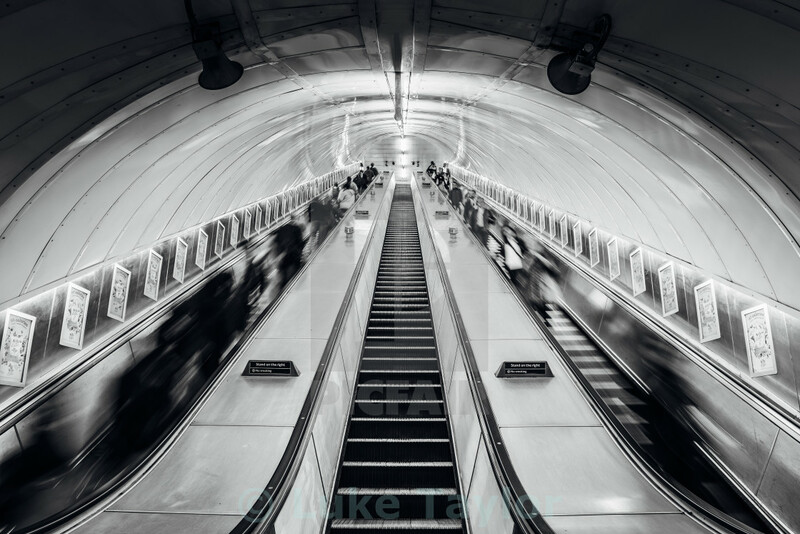 Heading down the dark and dingy escalators to the westbound Central Line, Holborn Station. 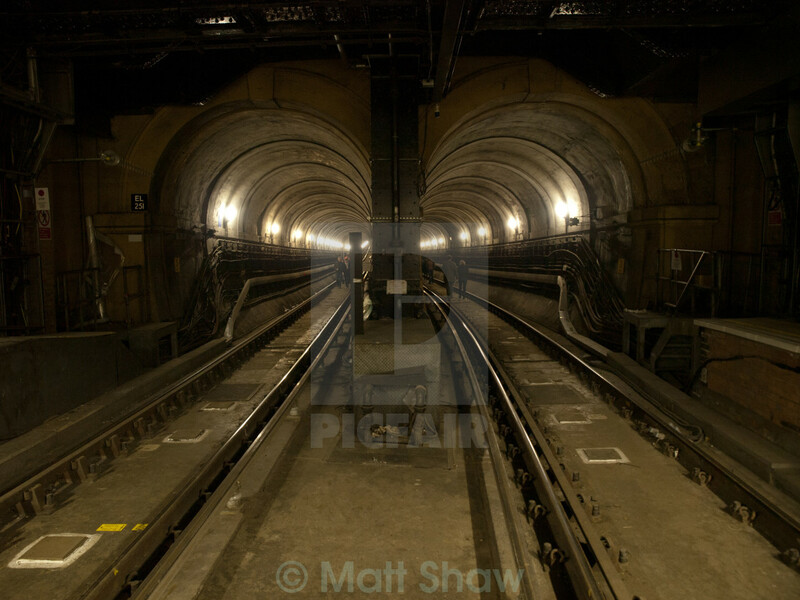 The Thames Tunnel is an underwater tunnel, built beneath the River Thames, connecting Rotherhithe and Wapping. CCTV cameras keep a watchful eye on what’s going on underground. 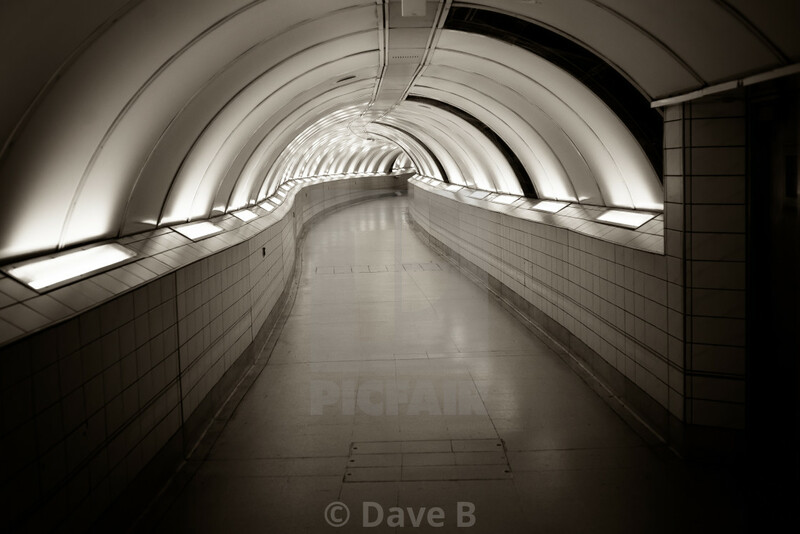 One of the many bendy corridors of the London Underground. 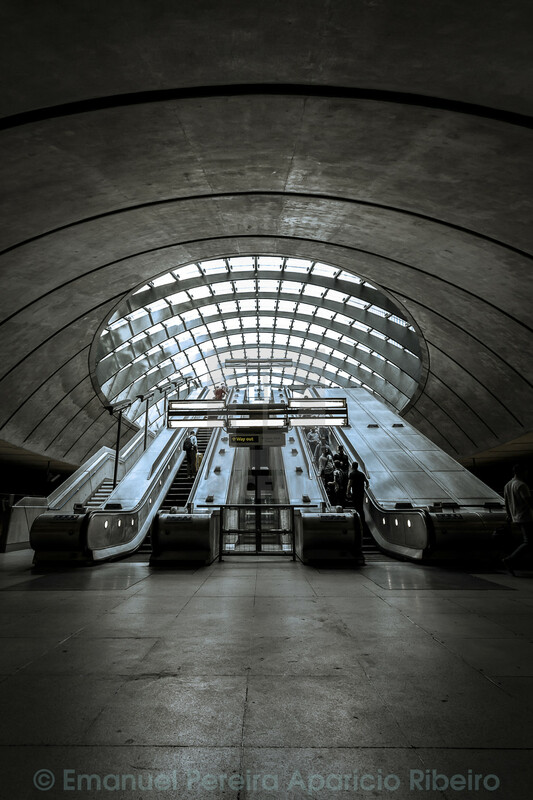 The entrance/exit to Canary Wharf station. A cast iron tunnel with the train tracks removed. Down the tunnel and into the light. 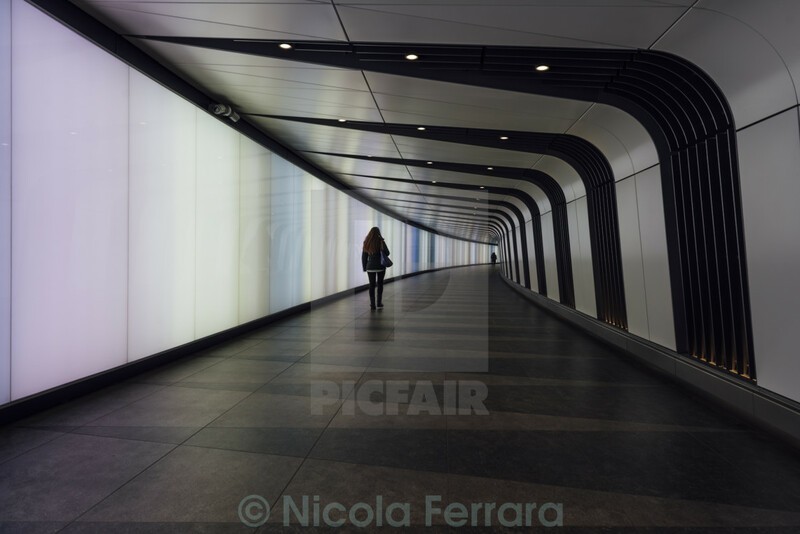 A light tunnel at the recently refurbished Kings Cross station. 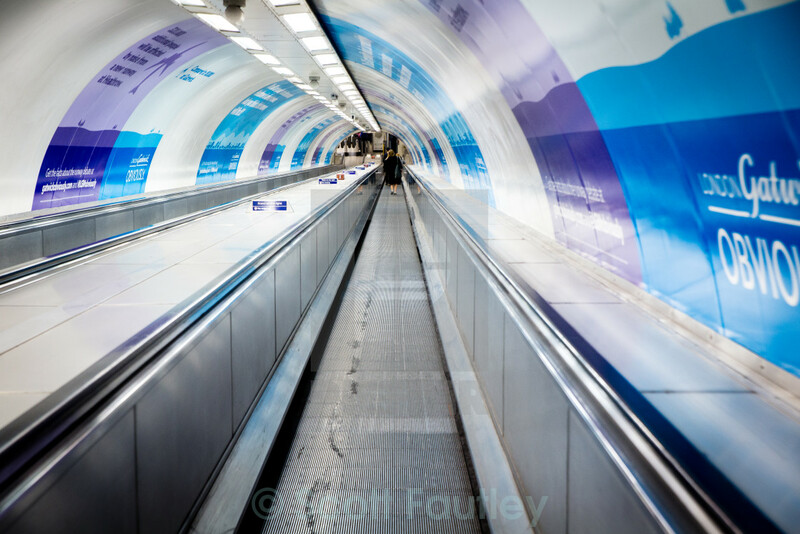 The main section of Gants Hill station. 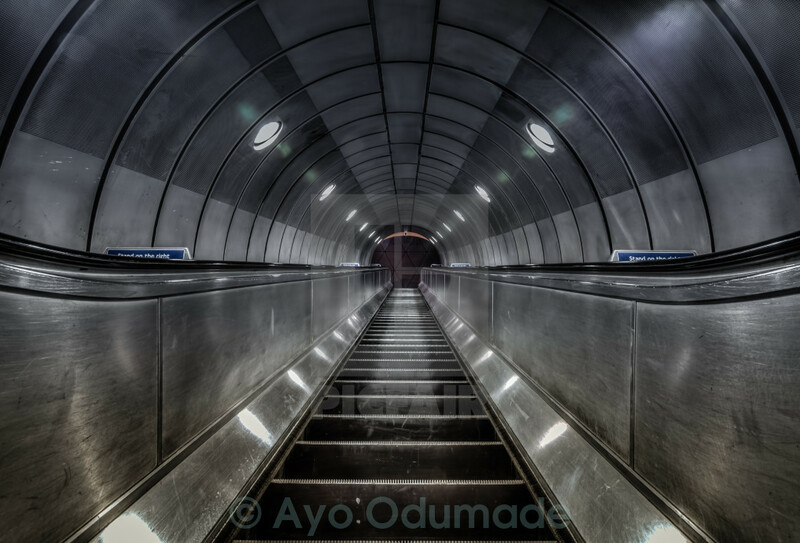 Up one of the many metallic escalators that the Underground network relies on. 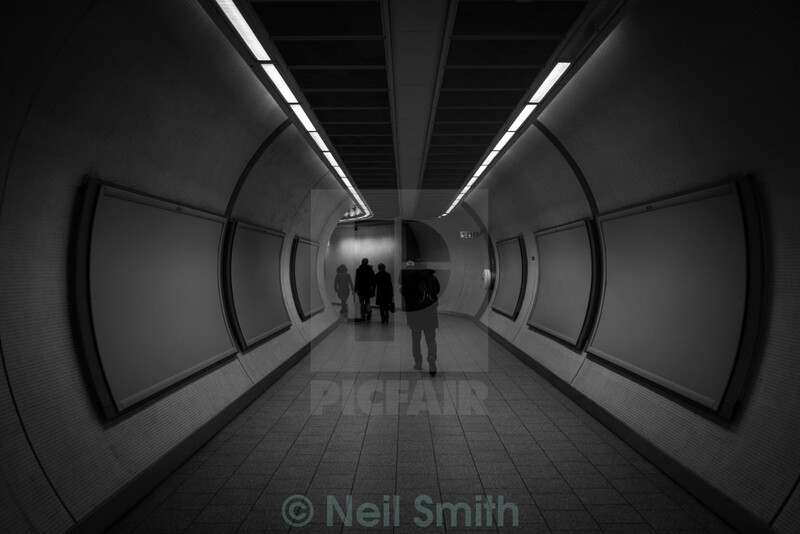 Heading for the exit after a long trip on the Piccadilly Line. 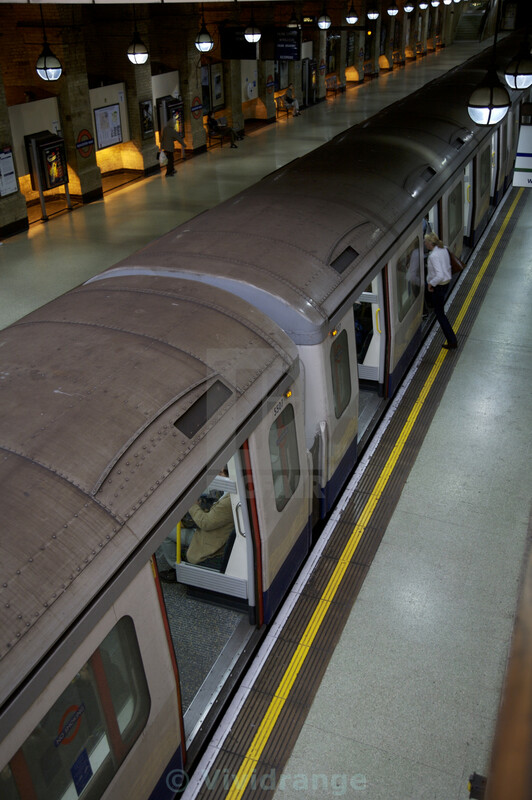 Advertising boards are rarely seen empty in the passageways of the tube. 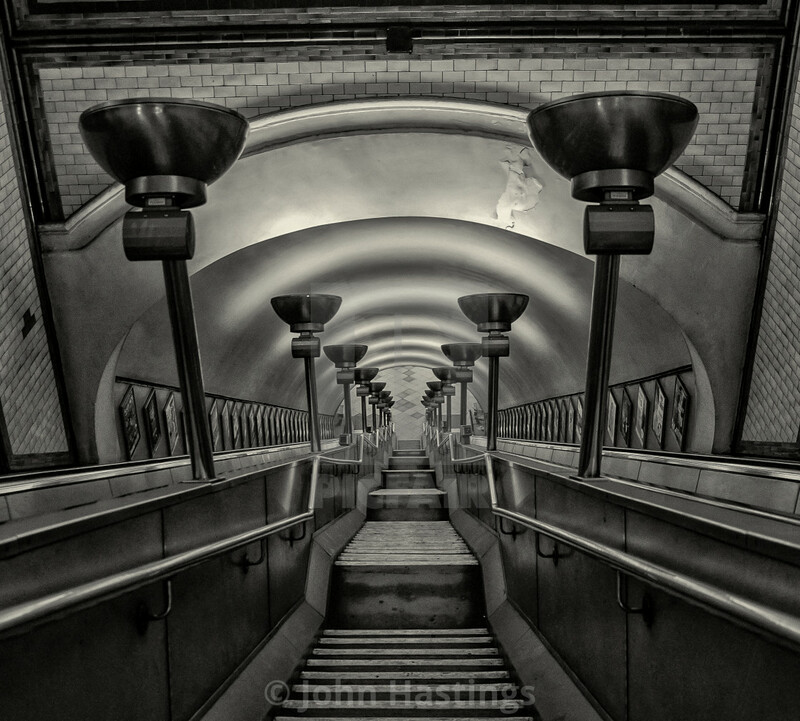 Down the stairs, and through the 1920's architecture of the Clapham South station. Inside an old Victoria line train at Walthamstow Central. Going down (or up?) 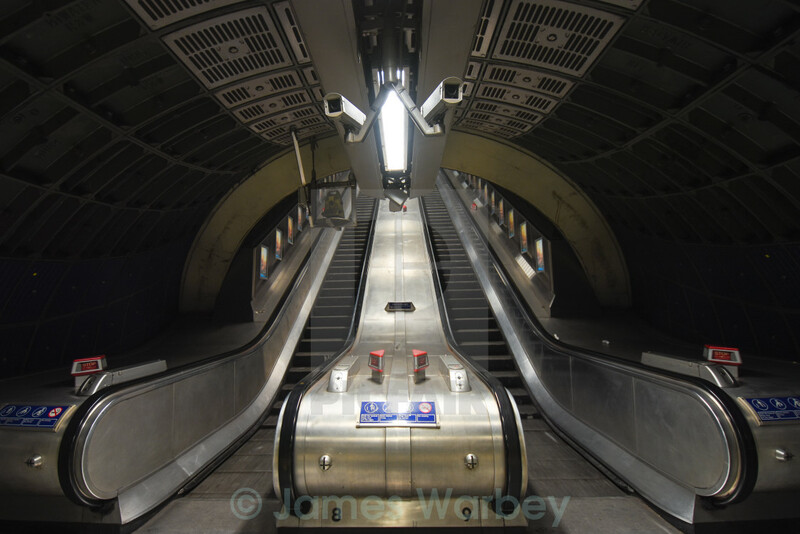 an escalator on the way to the Waterloo and City Line at Bank station. 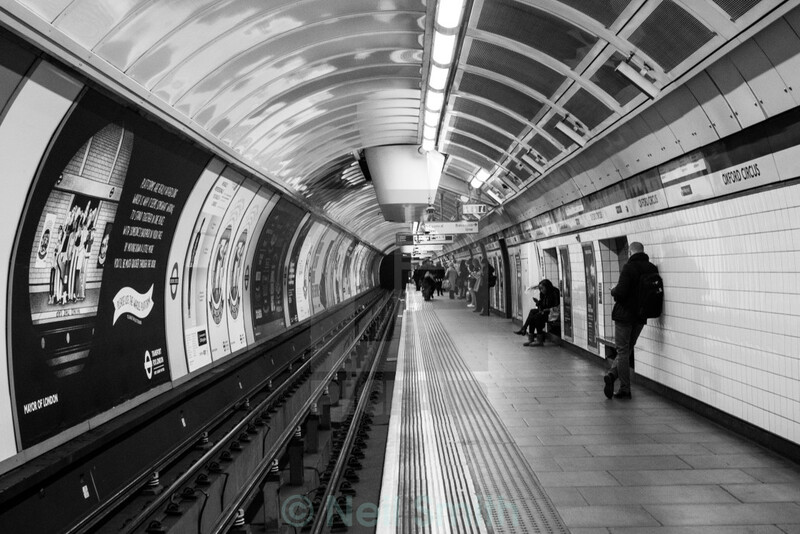 Waiting for the tube at Oxford Circus. 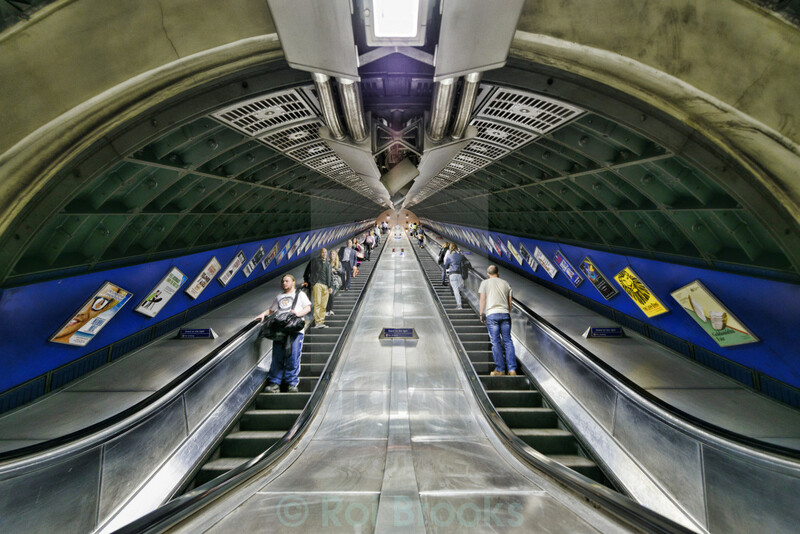 A long exposure shows the movement of people going up and down the escalators. 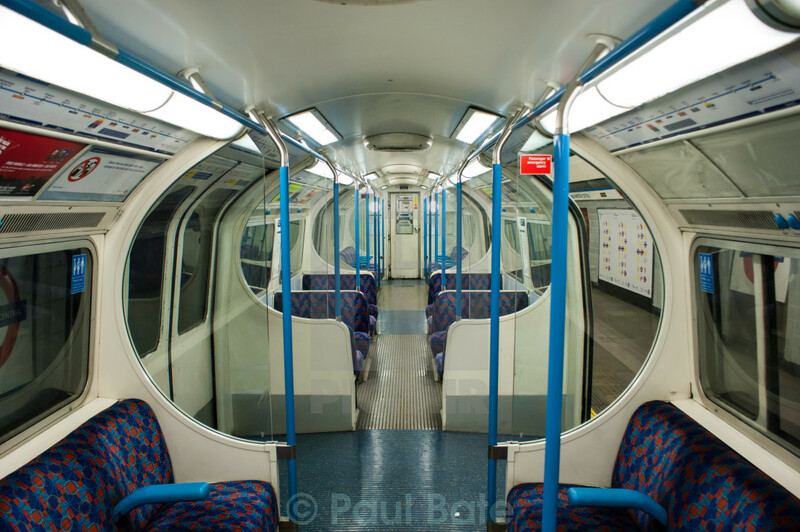 Inside an empty Central Line train carriage. 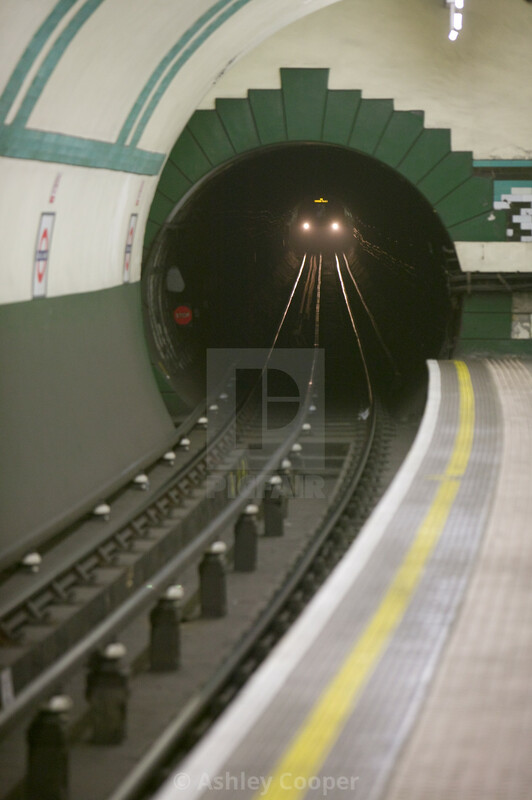 The Piccadilly line’s headlights cut through the darkness of the tunnel.